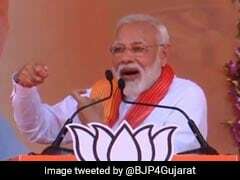 The Telugu Desam Party or TDP, which has 16 MPs in the 545-member Lok Sabha, first pulled out its ministers from the Narendra Modi government and Thursday decided to quit the alliance itself. New Delhi: A day after TDP quit NDA over lack of financial support, Finance Minister Arun Jaitley on Friday said the centre was committed to giving Andhra Pradesh a special package equivalent to a special category state and has been endlessly waiting for the state government to revert on mechanism of receiving it. Mr Jaitley said the modalities of giving the special package were agreed way back in September 2016 but the state government only in January this year suggested a change in route of receiving funds, to which the Centre agreed but has not heard from it ever since. "A solution has been put on the table. It is for Andhra Pradesh to decide whether they want the resources or they want to make an issue (out of it)," he said. The party, which is in power in Andhra Pradesh, had been demanding greater financial assistance to make up for the disadvantage it has been put to since its division in 2014. Mr Jaitley, however, said the Centre has been fully committed to giving the promised funds to the state and there has been no delay on its part. He said the so-called special category status cannot be given to Andhra Pradesh in its literal sense after implementation of the award of 14th finance commission, which deals with sharing of central government's financial resources with the states. The constitutionally-mandated Commission gave increased share of states fund in central taxes to 42 per cent from 32 per cent previously and meeting revenue deficit in case any state needs to be extraordinarily compensated. The minister said a special category state gets to pay just 10 per cent share of the money to be spent on a centrally sponsored scheme in comparison to general category states having to pay 40 per cent. The remaining 90 per cent in case of special category states and 60 per cent in general category states are borne by the centre. The 30 per cent equivalent advantage that the special category states had was agreed to be given to Andhra Pradesh for five years. "We found a solution on September 16, 2016 that instead of a special category, we will give a special package," he said adding the funds equivalent to 30 per cent additional funding was to be met in some other form. Andhra Pradesh, he said, suggested that this should come to it in form of external aided projects wherein the repayment is 90 per cent borne by the Centre and 10 per cent by the state. "We agreed," he said. But in January this year, Andhra Pradesh changed its stance and said it should come via NABARD, Mr Jaitley said adding the Centre told the state that such funding would increase its fiscal deficit and restrict borrowing space. So it was suggested that a special purpose vehicle be created into which NABARD can transfer funds. The Centre would have repaid such funds to the extent of 90 per cent, he said. "On February 7 their officers said they will find out the details and come. No one has come till now," he said. We have been literally waiting for them to come. The centre has always been willing to give and there is no delay on our part," he said. "The changeover has been done in January by Andhra Pradesh not by us." 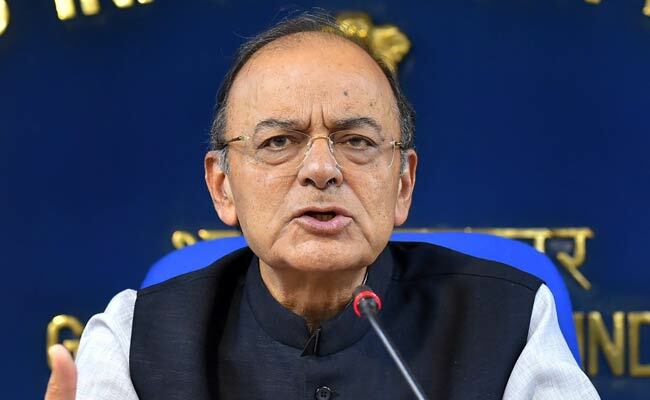 On meeting the revenue deficit faced by the state due to carving out of Telangana, Mr Jaitley said 14th Finance Commission has already calculated the funds for 2015 to 2020, which the Centre will pay. For the 10 months prior to that, the deficit can be calculated either by taking the 2013-14 as the base or by extrapolating revenue of 2015-16. In the first case only Rs 138 crore is left to be paid and if the second is used, Rs 1,600 crore is due. "We have said take it," he said. "We have been waiting endlessly for a response from them to resolve the issue," he added.